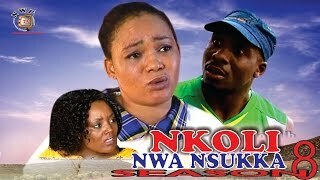 We recently came across this Nkotonko Season 1 - Nigerian Igbo Drama Musical movie from IGBO EZE channel on YouTube, and we believe our audience would enjoy it! Watch, comment and share with friends on social networks! This Nkotonko Igbo Drama Musical movie is quite entertaining and is fully subtitled in English for the non-speakers. IGBO EZE promises to upload the continuing Nkotonko Season 2 very soon. So, stay tuned! "To be part of this Production, Movie and Musical production, Live stage performance, hiring of live band, DJ, MC, and all general event/entertainment mgt. Call us on 08165593023 or 08064029085.........."